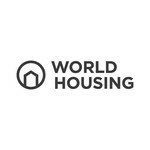 World Housing believes that homes are the key turning point where the momentum of community begins to have effects that radiate beyond individuals and into entire families, villages, and countries. World Housing homes allow people to live safe, stable lives. Children who grow up in safe, stable homes have greater freedom to pursue education, and raise the standard of living for themselves, their families, and future generations to come. World Housing homes cause a ripple effect. And those ripples change lives. Our mission is to create social change by connecting the world to be a better community. A new home means a new start, the beginning of a life with safety, security and stability as a foundation. What grows from there is a restoration of dignity and hope for the future. Families and communities begin to thrive, bringing up a new generation of healthy, educated, and inspired leaders for their community. Let's build some homes for families living in slum conditions. The Michelle Yu Real Estate Team is partnering with World Housing to provide homes to families living in poverty. With a safe and secure place to call home, anything is possible. Milborne Group is connecting the top of the real estate pyramid to the very bottom to fund homes for families in dire need. MLA Canada - Giving back through real estate. MLA Canada is launching a legacy program in collaboration with World Housing to fund the development of innovative solutions to end global homelessness. They will be building and gifting homes to the world's poorest families through this initiative.